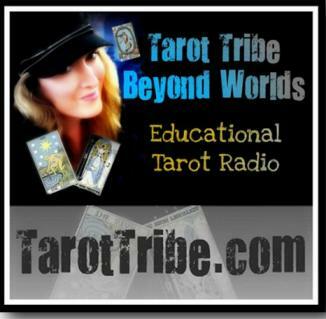 On June 24, 2012, Marcus Katz joined Beyond Worlds, Your Tarot Tribe, to talk about doing "Taking your Tarot Face to Face." You can hear that episode HERE. 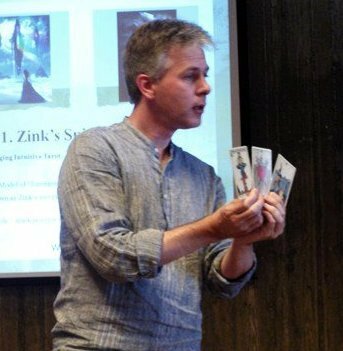 The show's Tarot Tip "Finding a Simple Sentence in the Cards, can be found HERE. The following information is © Marcus Katz & Tali Goodwin, Preview from Tarot Face to Face (Llewellyn, September 2012) and is used with permission. 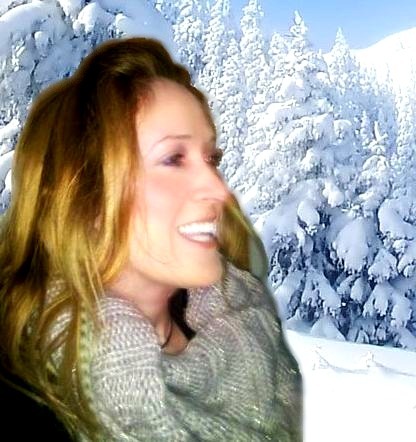 Join your National Tarosophy Tarot Association at http://www.tarotprofessionals.com for more Tarot. • Is it capable of change? How so? • Does it believe in life after death? • Is it capable of walking away from an argument? • Does it come back when you don’t care about it? Another useful one‐card method for reading for the general public in a social setting is the Impromptu method. It works very well with skeptics and those casually interested. Shuffle the deck and ask the person to select a card. Ask them to look at it. No matter what their response, unless it is a strong affirmative, ask them to return the card to the deck, saying, “No, that’s not the card, then”. Repeat this as many times as you like until they find a card that holds meaning to them. Then interpret that card for them, with them. 1. In what manner has this issue come about? 2. What can I do to support all the other care and attention being placed upon me? 3. How am I separate from the condition? 4. How am I connected to the condition? 5. What role does this condition play in my life? 6. How can I best consider the condition? Shuffle and lay out ten cards in a pyramid. 1: What is the spiritual core that informs me at this time? What am I being called to aspire to? 2 + 3: What must I create in my life? 4+5+6: What resources is the spiritual universe providing for me to accomplish the above? 7+8+9+10: What elements of my life must be drawn together to manifest my spiritual life? These four cards can also be read in detail as the four tools of the elements in matter, so the first card relates to “Lifestyle”, the second to “Creativity”, the third to “Education & Learning” and the fourth to the “Physical and Material Resources”. question into “How do I live to my best in the current situation with Dwayne?” It uses a sense of humour with which the Querent readily identifies to give serious information in a light‐hearted way, by using the recognisable metaphor of a boomerang, allied with some terms from the sport. Consider the other person is a boomerang, that is presently released from you. Shuffle and lay out six cards in a crescent, like a boomerang. Read them as follows. 1. The Aussie Round position – this card shows how you can return to your centre having released the boomerang. 2. Long Distance position – this card shows the nature of the relationship between you and your Dwayne. 3. Endurance position – this card illustrates how to best endure the to‐ing and fro‐ing of the relationship for your long‐term emotional well‐being. 4. Juggling position – the card here weighs up whether to let the boomerang go or try and retrieve it. 5. Consecutive Catch – this card depicts how to learn for all relationships, whether this one or a following one. 6. Trick Catch – this card gives an unusual solution to the present nature of the relationship.